For anywhere from $15 to $60, you can get years of relief from muscle soreness and tightness with a basic foam roller. It’s a simple and convenient way to help reduce scar tissue and even increase mobility. Learning how to foam roll can hurt a bit at first — until you get used to it — but the foam roller will quickly become your best friend. In fact, the more you roll, the better you’re likely to feel. Foam roll before your workout, in-between sets of weight lifting, or even when you’re just relaxing. 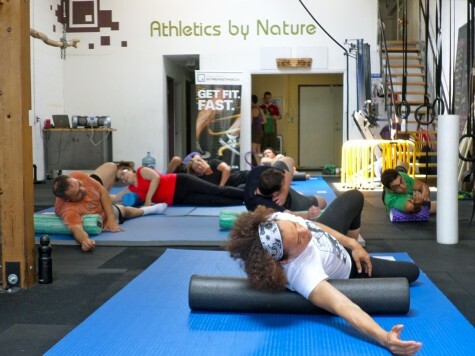 Basically, you want to use your bodyweight to apply pressure to your soft tissue with the roller on the floor. Roll at a slow pace (you can actually stop and hover over tender spots). It’s recommended to spend at least 30 seconds rolling each area, but you can spend longer if you like on problem areas. A pre-workout routine might take you 5-10 minutes.